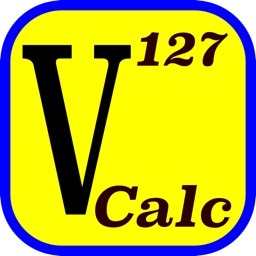 V-Solve is a programmable scientific calculator for iPhone and iPad that is designed to solve real problems in engineering and science. • Solves explicit and implicit equations. • Equations are entered and displayed in their natural form, as they would appear in a textbook. 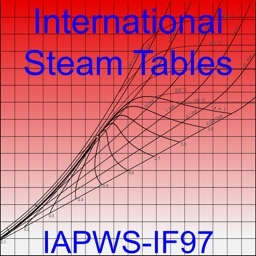 • 59 categories of units in library, divided into english, metric, and SI systems. 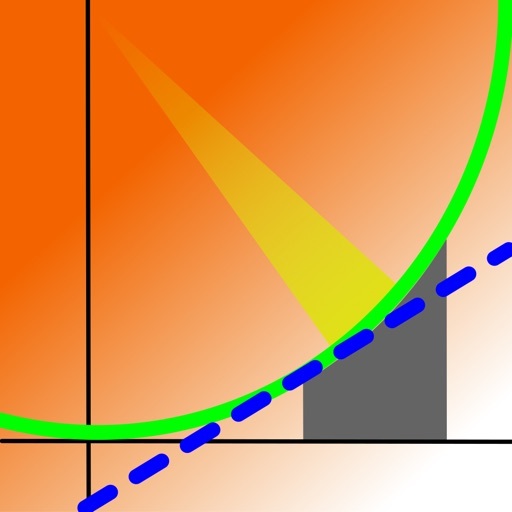 • Constants and user-defined unit conversions can be saved into libraries. • Well-organized Main, Trigonometric, English, and Greek keypads. 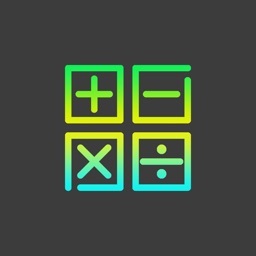 • Tutorials provide demonstration of the calculator’s capabilities by programmatically stepping through equation creation and unit conversion examples. • Equations are created and displayed in their natural form, as they would appear in a textbook. 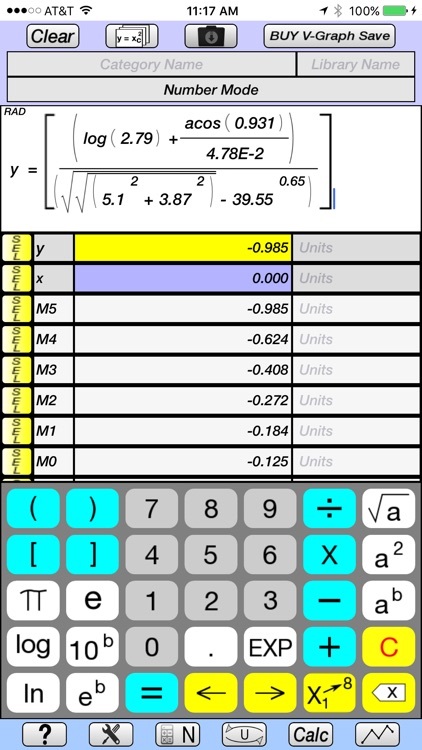 • Number Mode allows equations based on y (dependent variable) and x (independent variable) to be quickly created, solved, and have unit conversions carried out on the dependent variable. 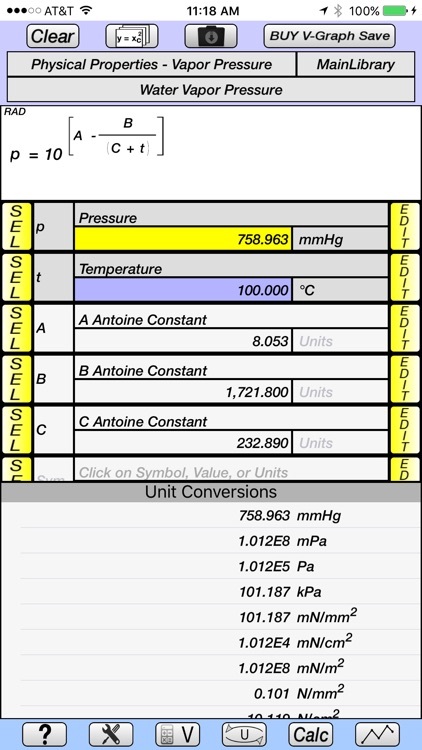 • Unit conversions can be carried out on result. • Super- and subscripting of variables. • Functions include square root, squared, x to any power, log, ln, 10 to any power, e to any power, factorial, trigonometric (including inverse), hyperbolic (including inverse). • Button selector allows the variable symbol or its value to be displayed in the equation. 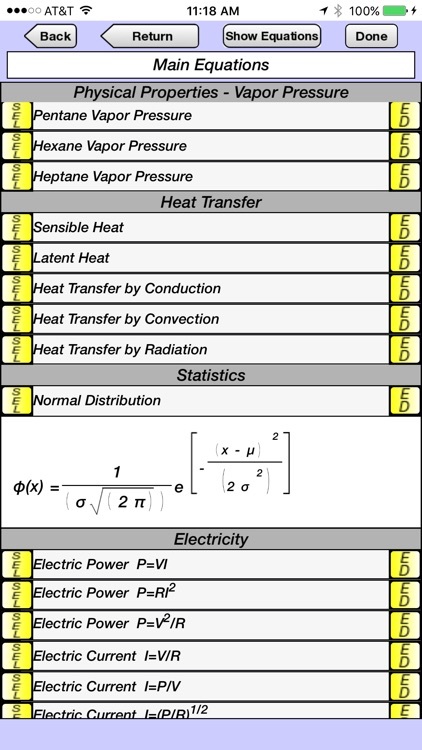 • Unit conversions are made simultaneously, and are displayed as a table of all units of the same category. 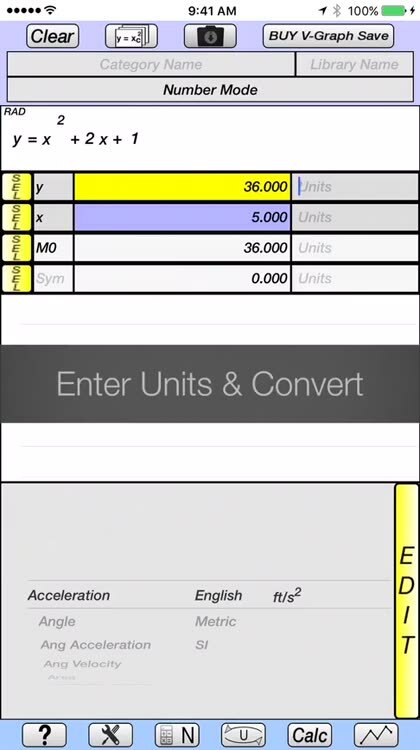 • New units can be created and saved to the library, using the base units (m, s, g, ft, lb, etc). 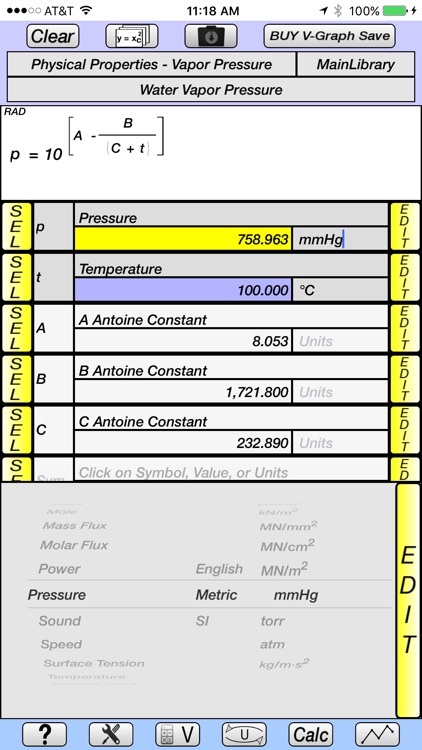 • New units are easily created using picker dials for the metric prefix (k, M, G, etc), base units, and power of 1, 2, 3, etc. Constants can be saved to libraries under user-defined categories. • Memory stack maintains values, variable symbols, and equation names of an unlimited number of previous calculations, which can be easily accessed for future calculations. • Multiple answers for implicit equations are saved to the memory stack. • Period or comma can be used as decimal separator. • Decimal or Scientific Notation, and number of significant digits can be easily specified. 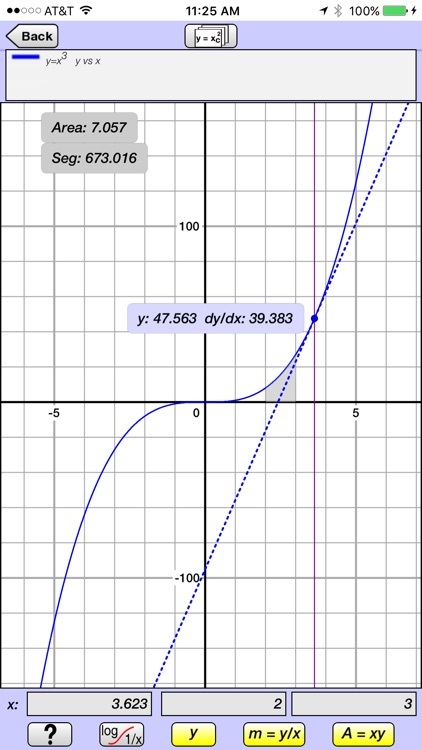 Convergence criteria and maximum number of iterations can be specified for implicit equations.